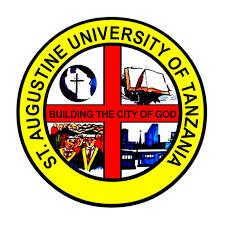 St. Augustine University of Tanzania, a secular and private institution of higher learning owned and managed by the Catholic Church, is dedicated to St. Augustine of Hippo (345-430 A.D) with the Motto “Building the City of God.” When the Catholic Bishops of Tanzania decided to extend the Church’s service to the provision of higher Education they envisioned a training that would impart academic and professional skills, as well as inculcate values of civic and social learning, such as acquisition of national identity, cultural norms, political growth and responsible citizenship. Thus, the church’s vision is holistic development of a person and respect for human dignity. If you have high academic potential and you are looking for a graduate university with an international ethos and a vibrant community, then St Augustine University of Tanzania is the ideal choice for you.